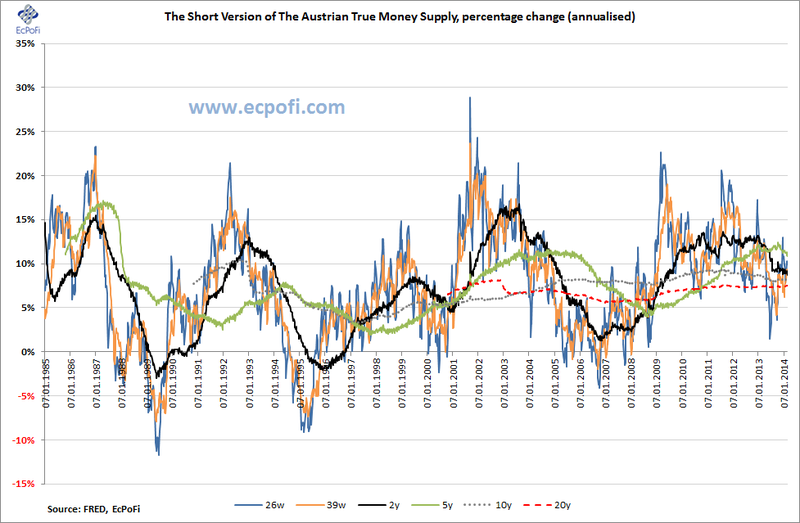 The short version of the Austrian True Money Supply (SVTMS) for the U.S. increased by 0.78% (49.41% annualised) during the most recent week ending 3 March 2014 to reach US$ 9.9845 trillion calculated from the most recent monetary statistics published by the Federal Reserve. 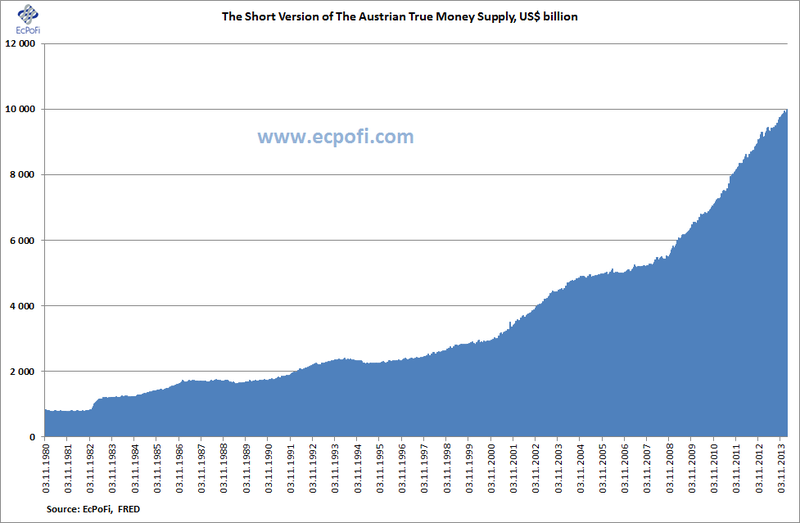 The money supply is now within a whisker to hit the US$ 10 trillion mark. 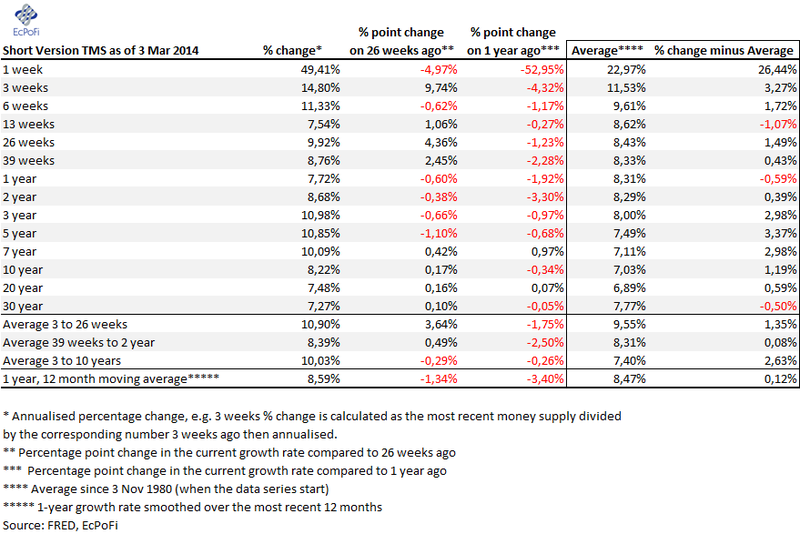 The 1-year growth rate closed the week on 7.72%, the lowest reported for seven weeks. 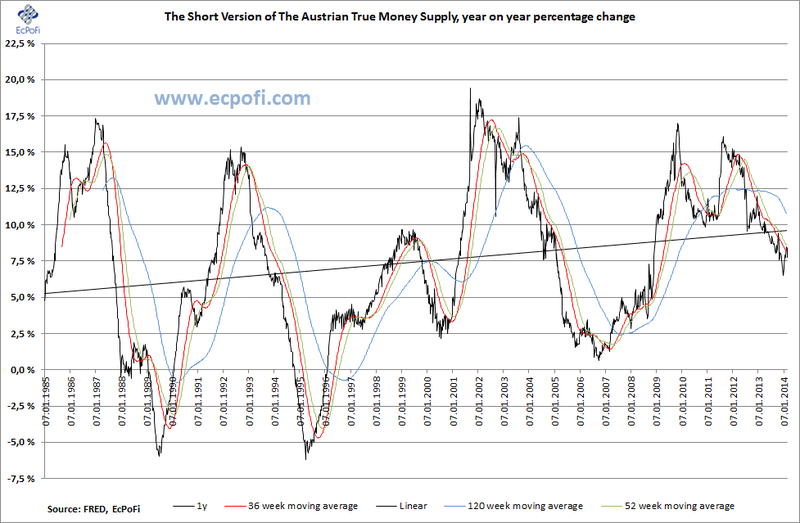 The 5-year annualised growth rate in the money supply, which we also cover regularly in this weekly report, dropped to 10.85% for the week. This was the lowest growth rate since 30 July 2012 and fell compared to one year ago for the 14th consecutive week. 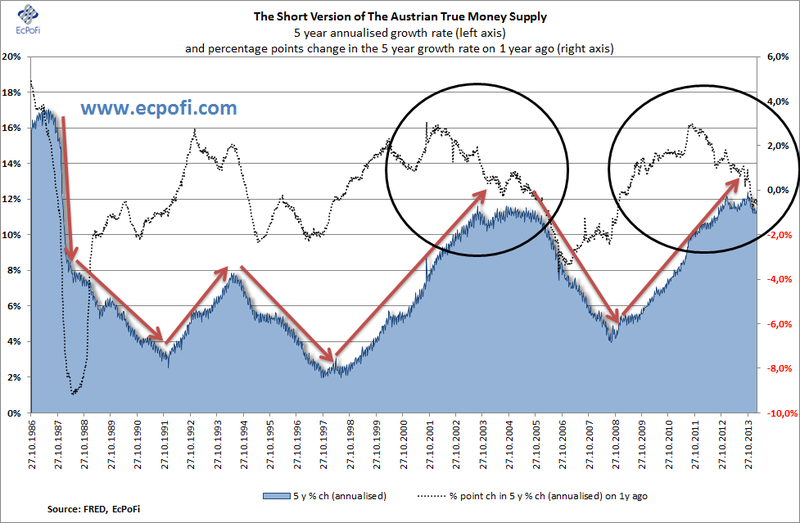 The overall trend of the money supply growth rate is still pointing downwards and as the table below shows, all the current growth rates, except for the 7- and 10-year rates, are lower than they were one year ago.